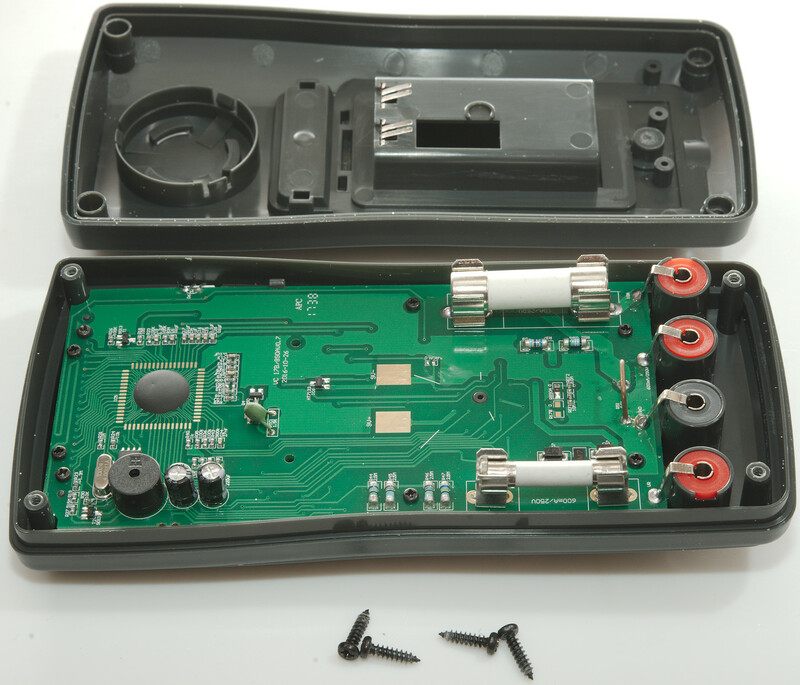 I bought this meter as "HY-19" without any brand on Aliexpress, but when I received it the name had changed to the above. This meter did not come in a cardboard box, but in a plastic box with lot of accessories included. 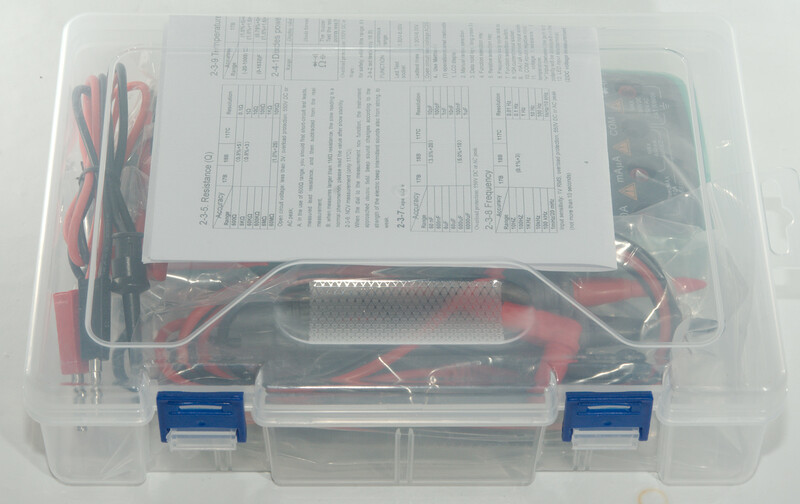 There was the meter, instruction sheet and probes, but in addition there was extra sharp and thin probe tips, alligator clips, hooks and a SMD tweezers. 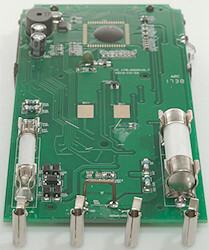 The probes are rated for 1000V and 20A in CAT II environment. They include a tip protection. 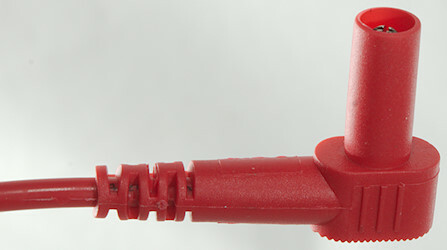 The plug is fully shrouded with the short type of shroud (17mm). 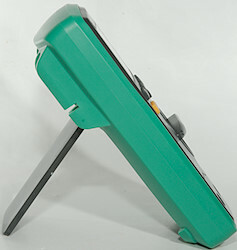 This probe can be used when measuring on small stuff or be stuffed into some connectors to measure while it is connected. The tilting bale is just about stable enough to change range and use switches with one hand. 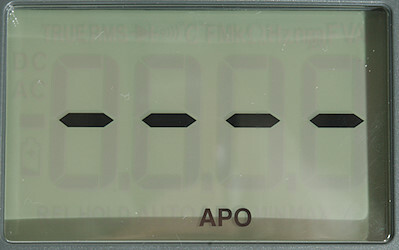 The above picture shows all the segments on the display, not all are used by the meter. AUTO is for auto range and APO is for automatic power off. The electric field detection (NCV) shows from 1 to 4 bar depending on field strength. It is very sensitive. 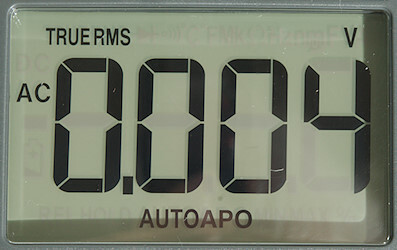 This meter will remember what was selected with SELECT and start in the same function next time, power off will not reset this. 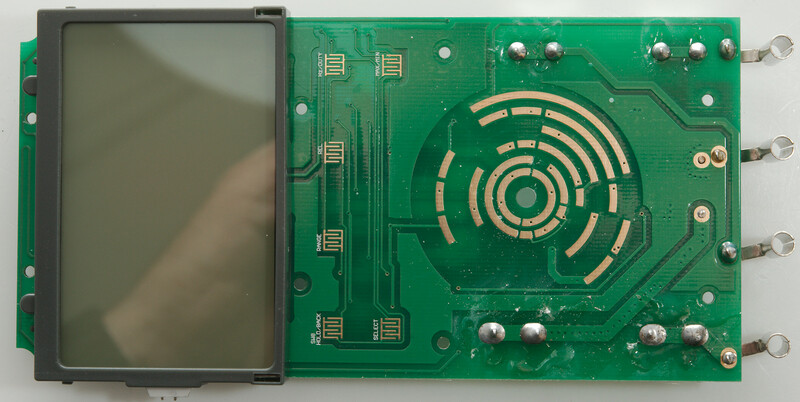 Hold: Will freeze the display, hold down to turn backlight on. Range: Switch to manual ranging and will also change range, hold down to get back to automatic. Rel: Remember the current reading and shows all further values relative to this, will disable auto ranging. 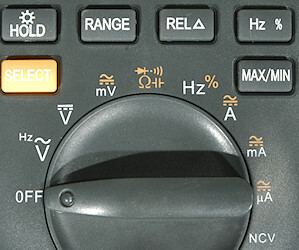 Hz %: Select Hz and duty cycle display in AC ranges, is also used in Hz range to select duty cycle. Select (Orange): Selects orange marked ranges for each position on the range switch. 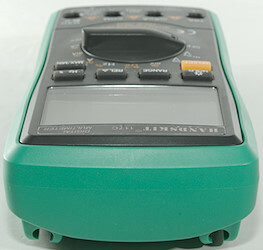 Max/min: Starts capturing maximum and minimum values, pressing it will change between max/min on the display, holding it down will return to normal. This function will disable auto ranging. 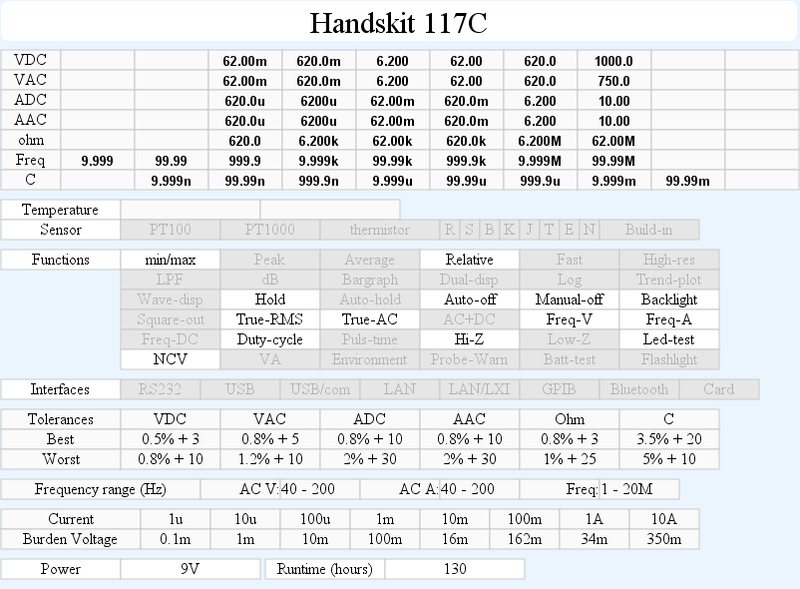 VAC: Show AC voltage, use Hz to display frequency. mV: Show millivolt, use SELECT to change between DC and AC. In AC Hz can be used to show frequency. 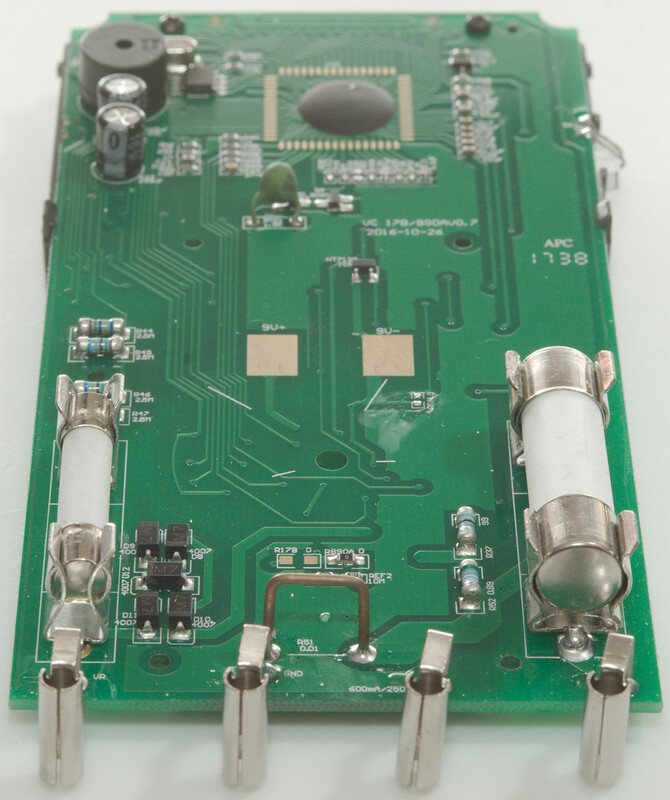 : Resistance, continuity, diode and capacitance, use SELECT to change between them. Hz: Frequency and duty cycle, this only works in AC ranges and on the Hz setting. A: Current DC and AC, use SELECT for AC and "Hz" for frequency and duty cycle. 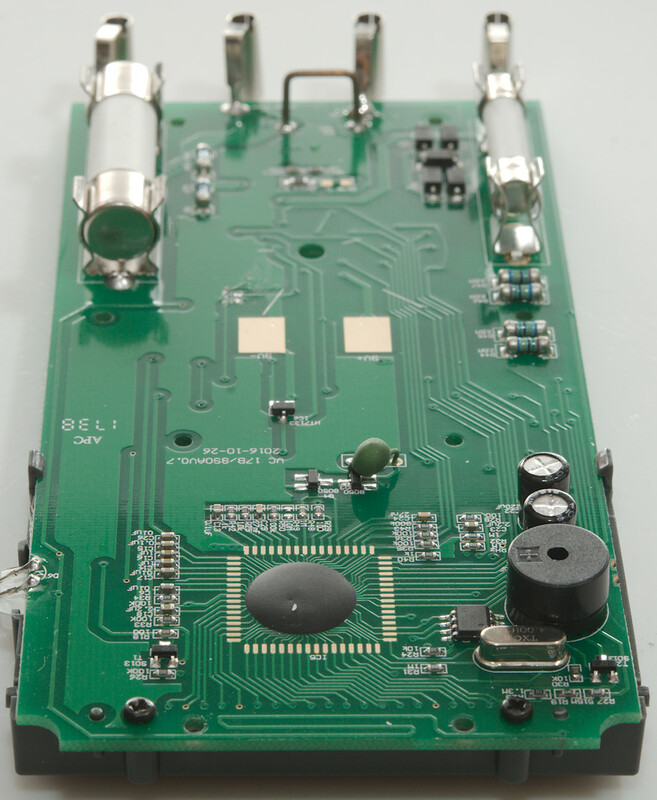 mA: Current DC and AC, use SELECT for AC and "Hz" for frequency and duty cycle. uA: Current DC and AC, use SELECT for AC and "Hz" for frequency and duty cycle. mAuA: The lower current ranges, the selector switch will change between two different shunts. Frequency input requires a zero crossing. 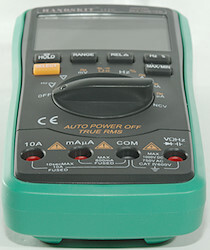 Max/min needs about 390ms to capture a voltage. 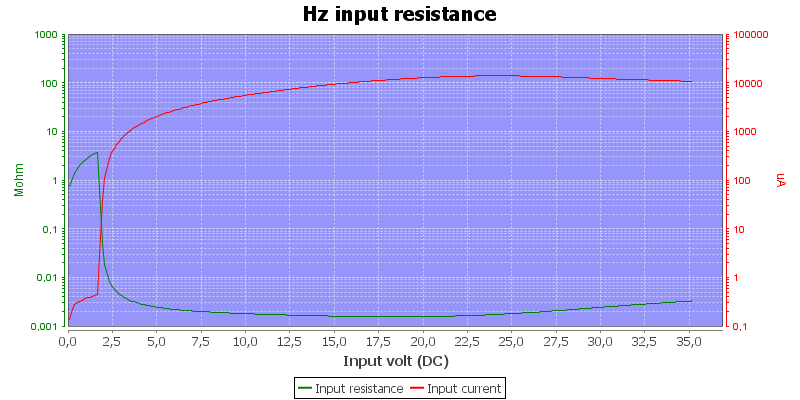 At 1Vrms input frequency range is from 0.9Hz to 7.8MHz (At 3.5V rms I reached 70MHz). There is audible alarm when current goes about 6.2mA in uA range. There is no audible alarm in mA range. There is audible alarm when current goes above 10A in 10A range. Ohm needs about 2.5s to measure 100ohm. 70000uF takes about 8 seconds to measure. 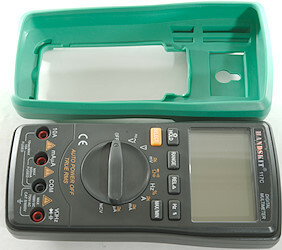 Ranges rated to 550V ACpeak/DC for 10 seconds. 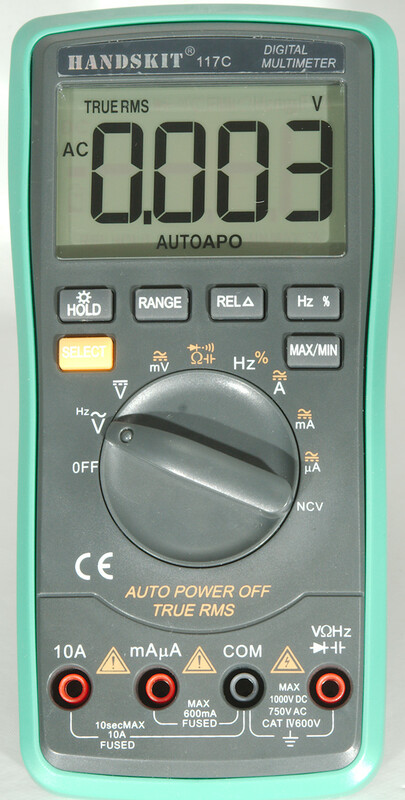 Meter works down to 1.8V where meter turns off, battery symbol show at 5.8V. Reading is stable until about 2.0V where it increase a few count. The meter needs a couple of display update to reach the final value. Backlight will automatic turn off in about 15 seconds. Standard probes cannot be fully inserted. 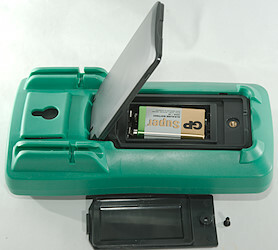 Weight is 366g without accessories, but with batteries and sleeve. Size is 183 x 90 x 46mm with sleeve. Probe wire is soft and 88cm long. 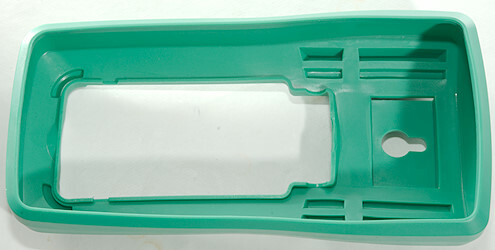 Griper wire is 57cm long. SMD tweezers wire is 51cm long. 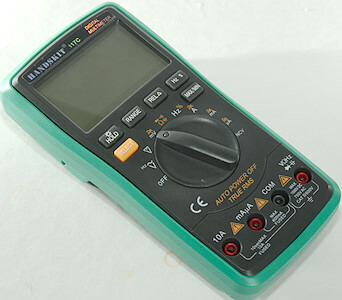 The low capacitance range has bad tolerances, but that range is not covered in the specifications. The highest ohm range is about 2% out around 50Mohm, but within tolerances at lower values. I had to remove 4 screws to open it. The meter uses ceramic fuses and fairly large ones. The large fuse is rated for 100kA, this is probably a bit optimistic. The small fuse is without any printing on it. I needed to remove 6 more screws to get the circuit board out. 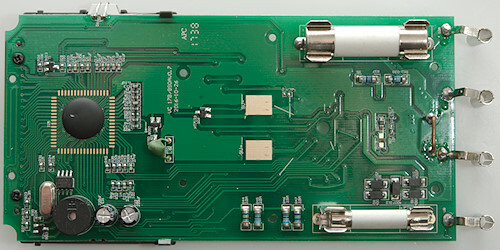 On this side there is no components, but only areas for the different switches and a NCV antenna at the top. 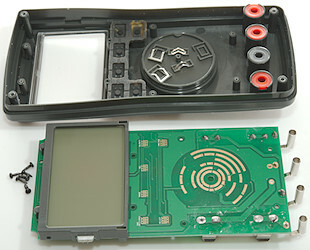 The lcd required two screws more and unsoldering the backlight. It did not look like there was anything under it, so I let it stay on this time. 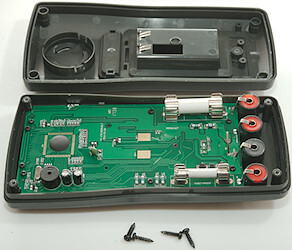 The inside looks fairly standard for a cheap multimeter. Besides the large fuse is the mA (R52 0.99ohm) and uA (R37: 99ohm) shunts, they are protected by a couple of diodes (D8..D12). Above the small fuse is the input divider (R44..R47: 4x2.5Mohm). Output protection for ohms is PTC1 and two transistors (Q3 & Q4), this protection circuit is also used for mV and Hz input. 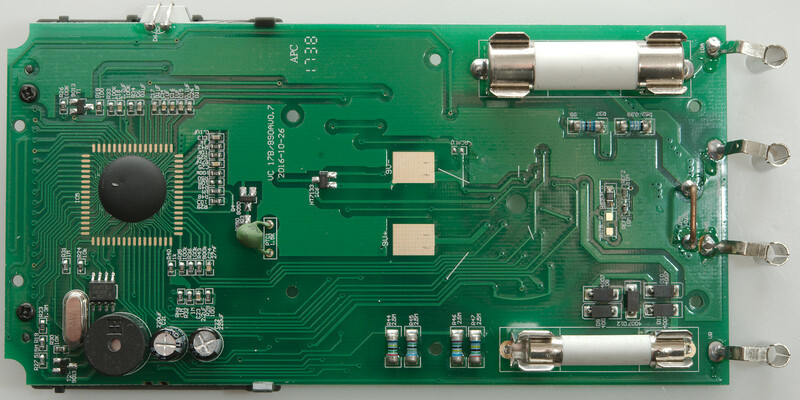 The 9V battery goes to a voltage regulator (IC6) and is then used to supply the multimeter IC and the EEPROM (24C08N). 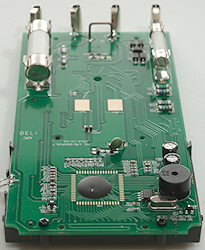 This side do also have a NCV antenna at the top of the circuit board. As usual the CAT rating is fairly optimistic with fuse specifications saying 250V. 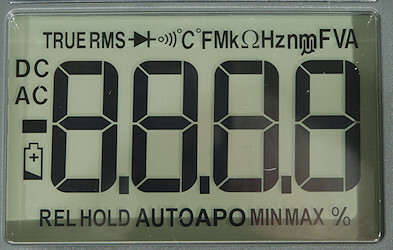 This meter has all the usual ranges, except temperature, the only "extra" function is NCV. 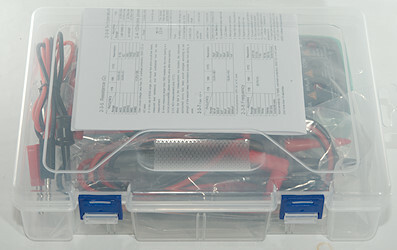 With all the included accessories this is a nice meter kit for low voltage and mains in the home. This meter is a rebrand from HY-19 (That is probably also a rebrand).